Hitting the market soon could be a new, opioid medication meant for fast discomfort relief being the center of a maelstrom of controversy as the drug nears a U.S. FDA approval. Sparking concern for the already booming epidemic. The drug, Dsuvia, includes a single-dose tablet of sufentanil, an artificial opioid that is found to be more powerful than fentanyl and 500 times more powerful than morphine. 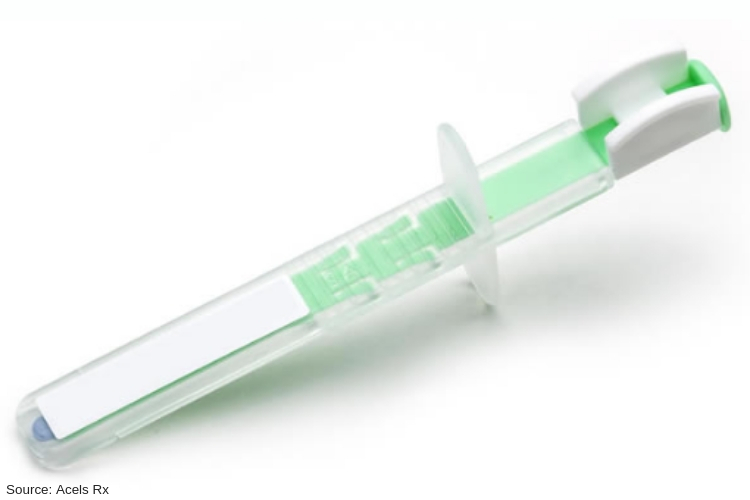 The tablet is available in a preloaded plastic applicator that is used to deposit the medication under a patient’s tongue. The FDA’s Anesthetic and Analgesic Drug Products Advisory Committee just recently suggested Dsuvia for U.S. approval, with a 10-3 vote, and a final decision is expected by Nov. 3. The FDA frequently follows such suggestions but is not obligated to do so. Dr. Raeford Brown, the chair of the committee, has expressed his concerns, worrying about putting yet another strong opioid on the U.S. market as the country battles with a devastating addiction crisis. The design of the drug is very easy to mimic, meaning that an individual who doesn’t have a prescription will find alternative ways. Other people speaking up over the drug include the consumer advocacy group Public Citizen, which co-signed a letter with Dr. Brown to FDA leaders, and Sen. Edward Markey (D-Mass. ), who called the FDA himself to stop the approval. The drug is made with one, 30 microgram tablet, a dose-adjusted amount of sufentanil that is no stronger than any other opioid already available in the U.S. said Dr. Pamela Palmer, co-founder, and chief medical officer of AcelRx. The idea behind the design makes it easier for first responders to use on a battlefield and could help the elder or any other individual, where an intravenous opioid can be difficult and oral opioids take some time to start working. Palmer explained that AcelRx’s drug would only be distributed in supervised settings, like a hospital or ambulatory surgery center, certified through the company’s Risk Evaluation and Mitigation Strategies (REMS) program. Dsuvia wouldn’t be available at a pharmacy, for example, CVS. The FDA has worked very hard to try and find a way to prevent the spread of prescription opioids but has proven to be a difficult task. Brown said, REMS programs are intended to avoid these types of harms but haven’t seen much success.